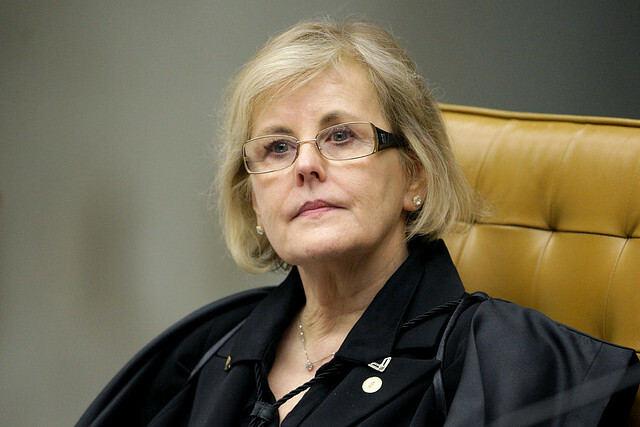 Considered the most critical and unpredictable opinion in today’s session, when the Supreme Court of Brazil (STF) is ruling on the country’s ex-president Luiz Inácio Lula da Silva’s petition to remain free while appealing a criminal conviction, justice Rosa Weber was the fifth member of the bench to deliver her opinion this Wednesday (4) and decided to deny the former president’s request. Now 4 justices have ruled against Lula’s request, while 1 ruled in favor of it. Six justices still have to deliver their opinions. In 2016, Weber ruled against imprisoning convicted defendants after an appeals court upholds their conviction, while it is still appealable. Today, her statement shows she could have a different opinion on the matter. After Weber delivered her opinion, justice Marco Aurélio reacted against her: “Let the record reflect. Strategy wins, and Your Honor did not bring up the ADCs [direct actions for the declaration of constitutionality],” he argued. Ricardo Lewandowski, a justice who has not delivered his opinion yet, supported Aurélio’s claims. Aurélio was referring to direct actions for the declaration of constitutionality (ADCs in the Portuguese acronym) filed by the National Ecologic Party (PEN) and the Federal Board of the Brazilian Bar Association to the Supreme Court. Their actions aimed to suspend the imposition of all appellate decisions and were filed before ex-president Lula's petition. Justice Marco Aurélio is the judge-rapporteur in these actions. The Chief Justice decided to analyze Lula’s habeas corpus petition before these ADCs, and Aurélio has requested several times, to no avail yet, to docket the actions so the Supreme Court decides on one interpretation of the matter.